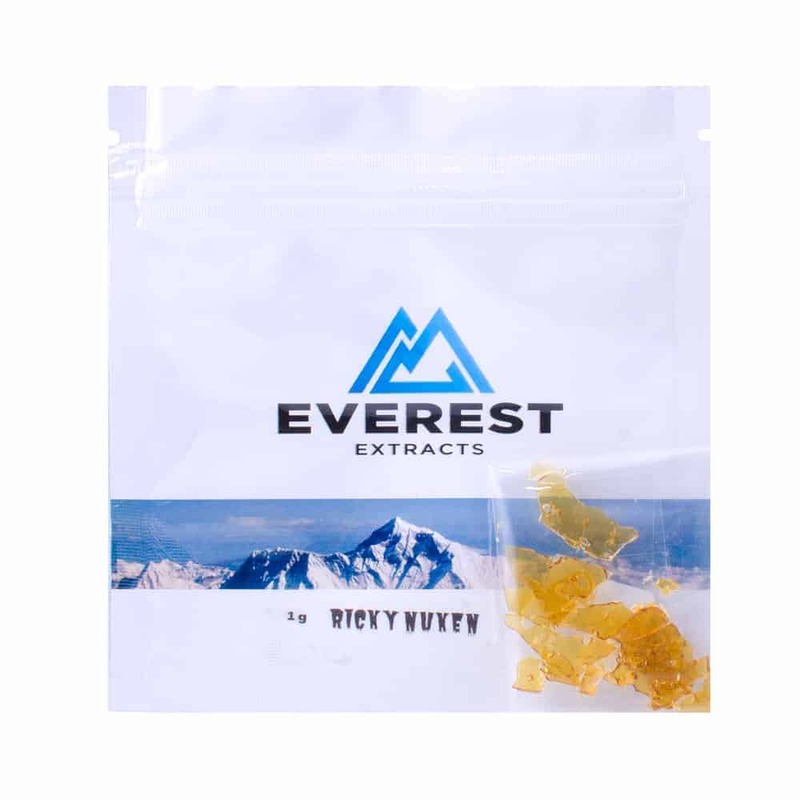 Everest Extracts are partnered with the finest manufacturers to deliver the highest quality, strain specific handcrafted concentrates for our patients out of beautiful British Columbia. All Everest Extracts products are lab tested for THC percentages and include a full product description that covers strain genetics, effects, known medical benefits, and parenthood, creating a highly personalized purchasing experience where little is left to chance with the customers getting exactly what they are looking for. Climb the summit! 5 reviews for "Everest Extracts – Pink Nuken – Indica Shatter"
Everest never disappoints. It’s like the premium stuff at regular prices. Excellent taste & quality.. I like to add one of these to every order!